4mm lens providing 79 degrees viewing angle. 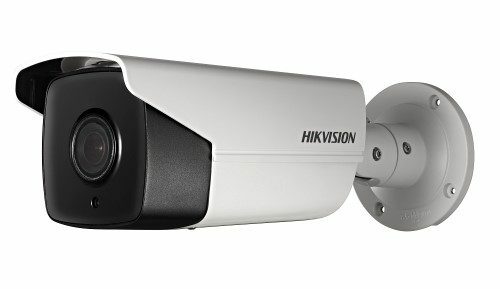 The Hikvision HIK-2CD2385FWDI4 or DS-2CD2385FWDI4 is an IR turret camera that produces an exceptional 8MP high-resolution video. Part of Hikvision’s EasyIp 2.0 Plus range of cameras, the DS-2CD2343G0-I is an IR turret camera that produces an exceptional 4MP high-resolution video. Rigorously tested, Hikvision’s generation cameras have been designed to deliver 24/7 video surveillance with the clarity you expect from a Hikvision network camera. 4mm lens providing 79 degrees wide viewing angle. 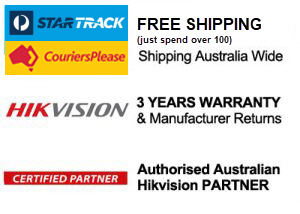 The Hikvision HIK-2CD2185FWDI4 or DS-2CD2185FWDI4 is a vandal proof outdoor IR dome camera that produces an exceptional 8MP high-resolution video. Powered by the latest innovation in image sensor technology and an ultra high definition image processing chipset from Amberella it supports H.265 and H.265+ intelligent video compression, which reduces bandwidth/storage requirements by up to 50% and 80%, respectively. Hikvision’s HIK-7608NI-I2-8P is an 8 channel embedded plug and play network video recorder. Part of Hikvision’s I Series NVR range, it houses a 4-core processor from Huawei and supports H.264+ intelligent compression which aims to reduce bandwidth and storage requirements by up to 50%. Additionally, this NVR combines multiple advanced technologies such as audio and video decoding technology, network technology and intelligent technology, all contributing factors to the I Series range running smoother than previous generations. Featuring 8 PoE network interfaces for easy plug and play setup and capable of 4K(UHD) video output via HDMI and 1080P via VGA, this NVR supports up to 12MP resolution recording. THIS UNIT COMES WITH A 3TB PREINSTALLED. This high performance and reliable unit is flexible and can be installed for decent-sizes domestic and commercial installations where a complete HD surveillance experience is required. This model has an INBUILT MIC. Part of Hikvision’s easy IP 3.0 range of cameras, the DS-2CD2555FWD is an outdoor IR mini dome camera that produces an exceptional 6MP high-resolution video. Powered by the latest innovation in image sensor technology and an ultra high definition image processing chipset from Amberella, it supports H.265 and H.265+ intelligent video compression, which reduces bandwidth/storage requirements by up to 50% and 80%, respectively. Providing an ideal combination of smart features and affordability, the camera includes 120dB true wide dynamic range (WDR) and built-in EXIR 2.0 infrared technology providing up to 10m visibility at night. With a 2.8mm lens, this camera provides a horizontal field of view of 97 degrees. 2.8mm lens providing 102 degrees wide viewing angle. The Hikvision HIK-2CD2185-2BLK or DS-2CD2185-2BLK is a vandal proof outdoor IR dome camera that produces an exceptional 8MP high-resolution video. Hikvision’s HIK-7604NI-K1-4P is a 4-channel embedded plug and play network video recorder. A new generation recorder developed by Hikvision independently, this NVR supports the new H.264+ intelligent compression which aims to reduce bandwidth and storage requirements by up to 50%. Additionally, this NVR combines multiple advanced technologies such as audio and video decoding technology, network technology and intelligent technology and features 4 PoE network interfaces for easy plug and play setup. 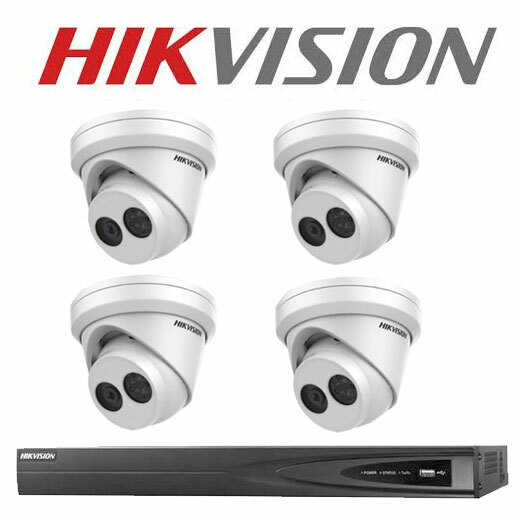 Complete with HDMI/VGA outputs at HD1080P and supporting up to 8MP (4K) resolution recording, the HIK-7604NI-K1-4P series NVRs offer complete HD surveillance experiences. This small reliable unit is best suited for domestic and smaller commercial installation. 4mm lens providing 63.5 degrees viewing angle. The Hikvision HIK-2CD2155FWDI4 is a vandal proof outdoor IR dome camera that produces an exceptional 6MP high-resolution video. The Hikvision HIK-2CD2755WDIZS is a vandal proof, outdoor and motorised varifocal IR dome camera that produces an exceptional 6MP high-resolution video.